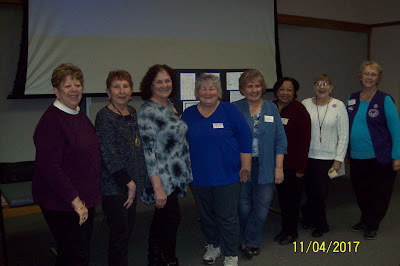 The November 2017 meeting was the Butler Group that was postponed from February because of a big snowstorm in February. They were predicting snow again so I was wondering if we would ever get to see the research the Butler group had done. 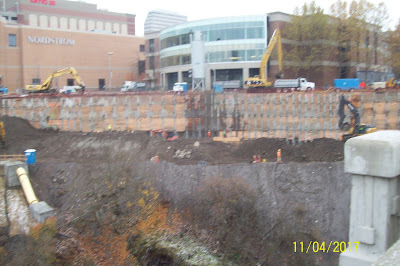 The city is still working on the Combined Sewer Overflow tank right next to the Spokane Public Library. 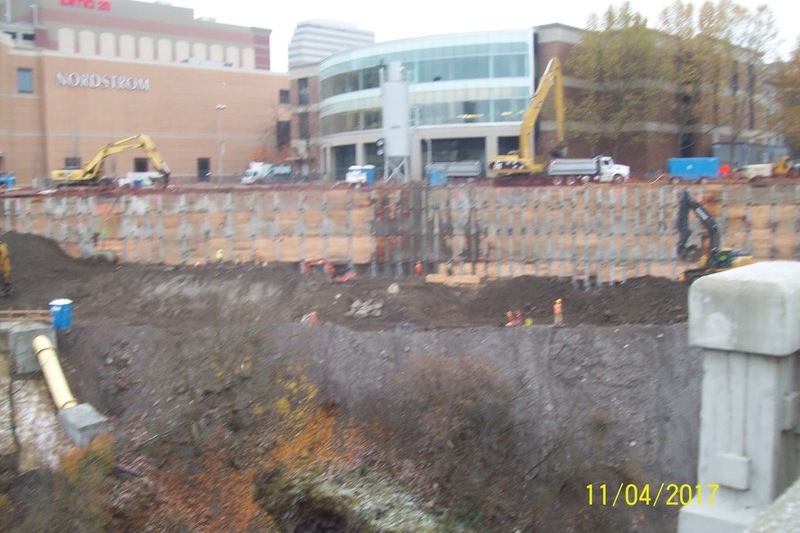 This will be one of the largest CSO tanks in Spokane and will stop the flow of raw sewage into the river when there is a large snow melt or a big rain storm. This is the group of officers for EWGS for 2018. The Election was held in the early part of the business meeting. Thanks for volunteering. Then there was a break and the cookies were wonderful, thanks for whoever brought them. This is the Butler Group looking for the descendants of Nace Butler that was one of the 272 Slaves sold by Georgetown University in 1838 to pay the bills that Georgetown University had at that time. They had a lot information along the side of the room of printouts they had found so far. 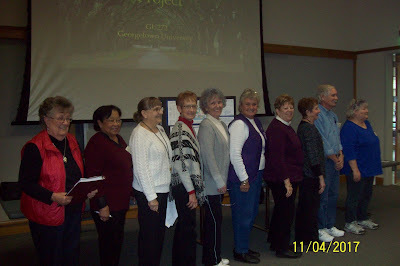 They had a couple of clues that helped, Georgetown was a Catholic school and all the slaves were Catholic, and some had surnames both were uncommon for slaves, so tracing them was a little easier than a lot of slave research.